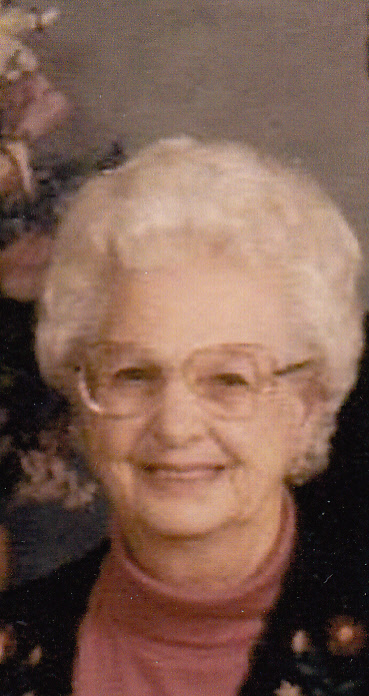 Elizabeth Cook Huscusson, 91, of Franklin, NC, passed away Monday, September 10, 2018. She was born October 2, 1926 in Aiken County, SC. She was raised by her Mom and Dad Olive and Boyce Cook. She is survived by her husband of 67 years, John L. Huscusson. Mrs. Huscusson loved gardening, canning, and flowers. She was Grand Champion at the Macon County Fair and NC State Fair for her Roma tomatoes. She was a member of Ridgecrest Baptist Church and was a Choir member. In addition to her husband, she is survived by two daughters, Marie Holland (Perry) of Franklin, NC and Wanda Bishop (Carl) of Sebring, Fl; two grandchildren, Tammy Holland and Chris Holland; two great‑grandchildren, Kayla Sanders and Devan Sanders. She was preceded in death by her parents and four brothers. A Celebration of Life service will be held Saturday, September 15, 2018 at 11:00 am in the Chapel of Bryant‑Grant Funeral Home, with Rev. Tommy Fouts officiating. The family will receive friends from 10:00 till 11:00 am one hour prior to the service at the funeral home. Bryant‑Grant Funeral Home and Crematory is serving the Huscusson family. Online condolences are available at www.bryantgrantfuneralhome.com.